maker*land. : How to make a monster tissue pouch. 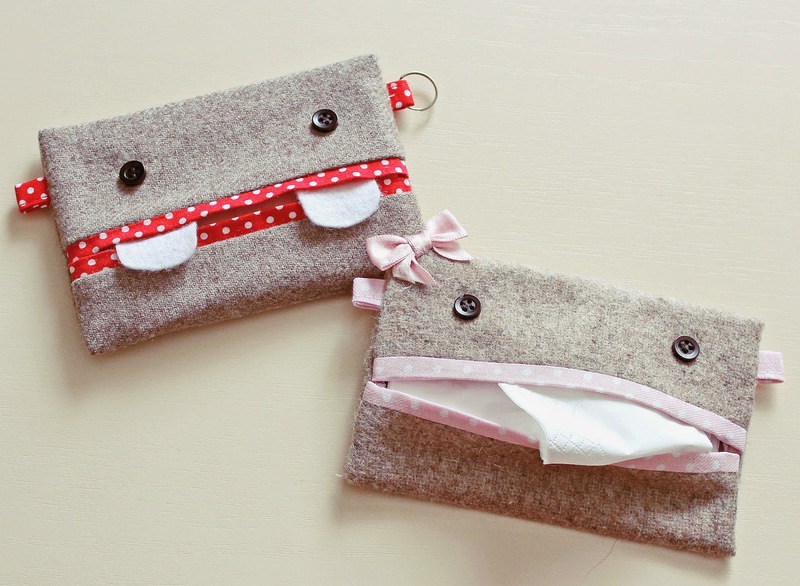 How to make a monster tissue pouch. There are a billion and one tutorials for these, I know. One more won't hurt. 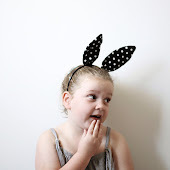 This one is tizzied up a bit for the kids, so that they are less inclined to wipe their nose with their sleeve, therefore not giving Mum a nasty surprise when she's popping the dirty clothes into the washer. Kids can enlist the help of their very own Boogie Monster by pulling a tissue out of it's mouth. Cool! The extra details add about ten to fifteen minutes stitchin' time to what is only a five minute project. Of course you can make the pouch without the monster fancies, but that would be no fun and would probably do little to stop those laundry day gross-outs. If you add a slip ring or key chain, you can attach it to an inside zipper inside their school bag, so they'll always know where to find it. 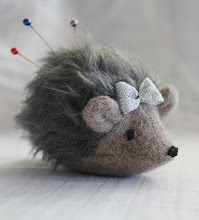 This is also a good, simple starter project for a beginner sewer, and makes a cute and useful little gift. This pouch holds the discount store tissues and the Kleenex travel pouches. As most travel pouch tissues open from the end these day, I prefer to take my tissues out of the pack before stuffing them into the pouch. -Outer fabric and inner fabric. I've chosen some wool scrap as my outer fabric, and plundered my cotton scrap for the lining, but cotton is fine for both. 20cm square of each should be plenty. Optional - white felt for teeth, slip ring or key chain, ribbon or any other bling you may want to embellish with. Note: Stitch with a 1/4 inch seam allowance throughout. For main pouch pieces place right sides together. Pin and stitch shorter ends. Turn right side out. 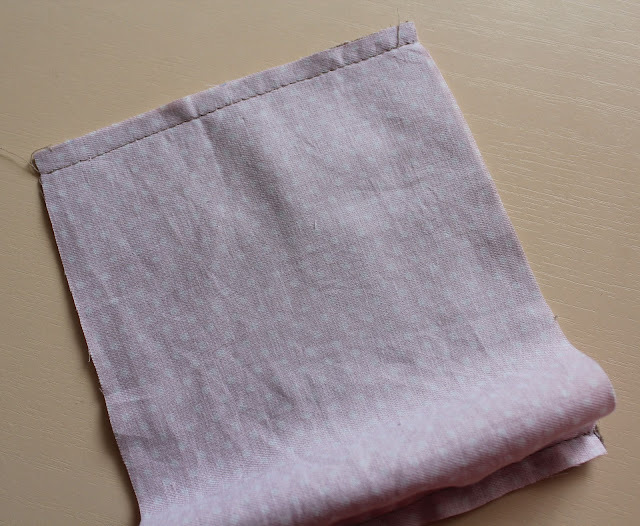 Centre the outer fabric over the inner fabric so that you have two evenly sized strips of the inner fabric at each end of your pouch piece showing and press. For loops, press long edges of loop piece to centre evenly, and then fold in half (like a seam binding). Top-stitch long opening edge together. Cut this piece in half, then fold and press each piece, like this. 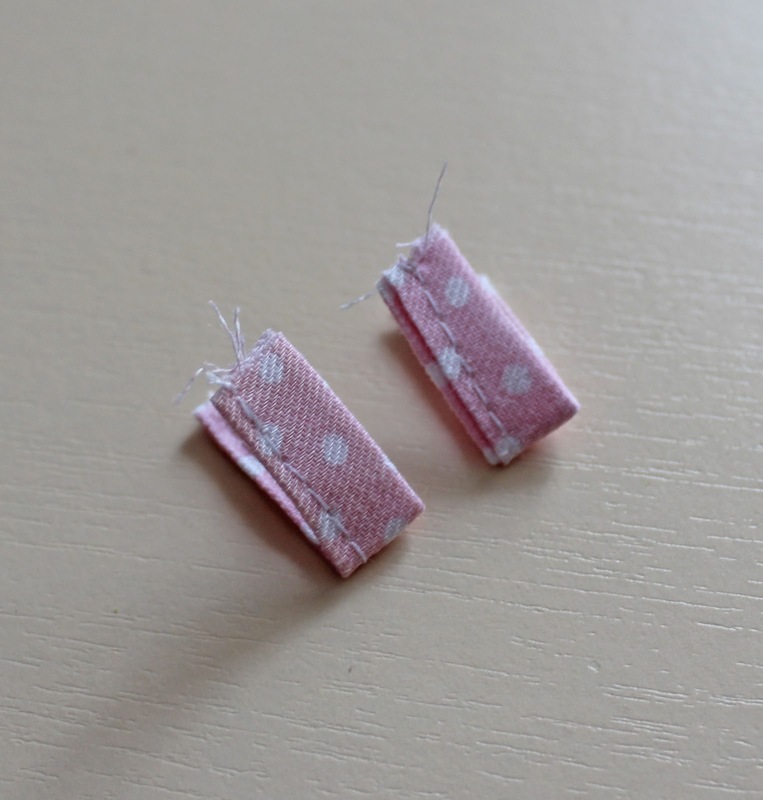 With outer fabric facing upwards, measure one inch up from edge on both sides. Baste loops on each side ( Note: you may just want to have one loop, but I've stitched one on each side to balance it out. It's a Libran thing). Stitch on the buttons for eyes. Mine are placed in line with the loops, 1 1/2 inches from the edges. Fold 1 1/4 inch of the un-eared, un-eyed edge toward the centre as shown. Fold other end in to meet exactly. Pin, and stitch sides together. Clip corners. I also like to double stitch the opening, and clip opening corners, too. ...or cut some teeth out of white felt, and stitch inside the upper lip, for a boy. Pop in your tissues and you're all set. See? 'Snot hard at all. What a cute get well gift for any child! Thanks for sharing.